A report of the final half hour of Sridevi's life has emerged in Khaleej Times, a newspaper based out of United Arab Emirates. The paper reports that the veteran actor was lying unconscious in the bathtub for 15 minutes before her husband, producer Boney Kapoor found her. According to Khaleej Times, Sridevi had dinner plans with Boney before she suffered the cardiac arrest in the Dubai hotel. Quoting unnamed sources, the newspaper report added Boney flew back from Mumbai and went to her room at the Jumeirah Emirates Towers Hotel at around 5.30 pm to "surprise her with dinner." The veteran actor, who shot to fame with Bhaaratiraja's 1977 hit Pathinaru Vayadhinile and rose to become a luminous name in Indian cinema, died late Saturday night succumbing to a massive cardiac arrest in Dubai. She was 54. Sridevi's brother-in-law Sanjay Kapoor confirmed the news to The Indian Express. Sridevi's husband Boney Kapoor and younger daughter Khushi were in Dubai to attend a family wedding. Elder daughter Jhanvi is in Mumbai for a film shooting. Family and friends are rushing to Sridevi’s house in Mumbai to be by Jhanvi’s side. Sridevi, a Padma Shri awardee in 2013, began her career as a child artiste and grew up to be one of the most phenomenal female stars India ever had. In the 1990s, Sridevi's roles in Chandni, Lamhe, Mr India, Nagina were not just personal landmarks but the stuff of Indian film lore for the ages. Sridevi's more recent movies were English Vinglish and Mom which released in 2017 — her comeback after marriage and a career break. 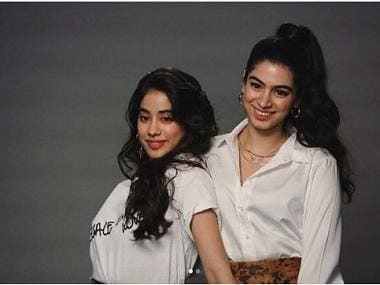 Sridevi's daughter Jhanvi is set to make her Bollywood debut this year with Karan Johar’s Dhadak.